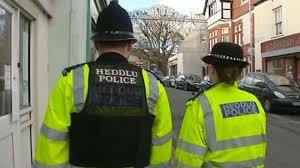 A senior Welsh police officer has slammed critics who say they can only solve crime if it is caught on Closed Circuit Television (CCTV) as the numbers continue to grow, The Eye can reveal. He told us: “These people simply don’t know what they are talking about. “CCTV protects punters and is another thing we rely on – but there are lots of others”. 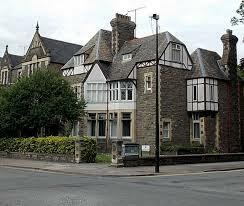 Cathedral Road, Cardiff – they are springing up everywhere! 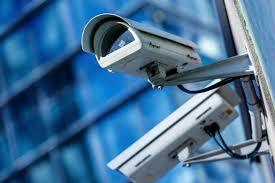 The news comes as more and more CCTV cameras are installed in public places. Figures are difficult to come by – but in August 2015 there were an estimated 5.9 million CCTV cameras in Britain and the figure has gone up since. It has been reported that now Cardiff is the fourth most watched city in the whole of the UK. Images captured on CCTV are increasingly used in court cases, and they are seen as essential for prosecutors after brawls outside night clubs. Prosecutions using the footage following fights during the Christmas and New Year periods are commonplace. But critics say CCTV cameras simply displace crime to areas which do not have them, and the police as well as courts rely on them too much. Last year two doormen at Cardiff’s Coyote Ugly received suspended prison sentences after a fight involving rugby star Shane Williams, his brother Dean and friends – and it was all caught on CCTV. 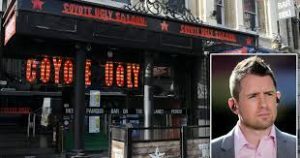 In reporting the court case, the mainstream media in Wales said: “Door staff working at the venue ejected the four-man group from the premises but an altercation outside Coyote Ugly, which was caught on CCTV, culminated in Dean Williams lying unconscious on the floor”. 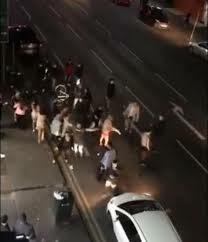 In Hereford a huge fracas at a New Year’s Eve party spilled out onto the road, and cars had to dodge pedestrians, which was all caught on CCTV. The film shows around 20 men and women exchanging punches, and screams can be heard. Two years ago moving CCTV pictures were released by the police showing a young woman being chased through Cardiff before a crash which killed her. Last November it was reported that a landowner at Penrhynside near Llandudno had installed CCTV without planning permission during a row with his neighbours over access to their homes. The row, and controversies, over the way police use the increasing numbers of CCTV cameras in 2019 are likely to continue.